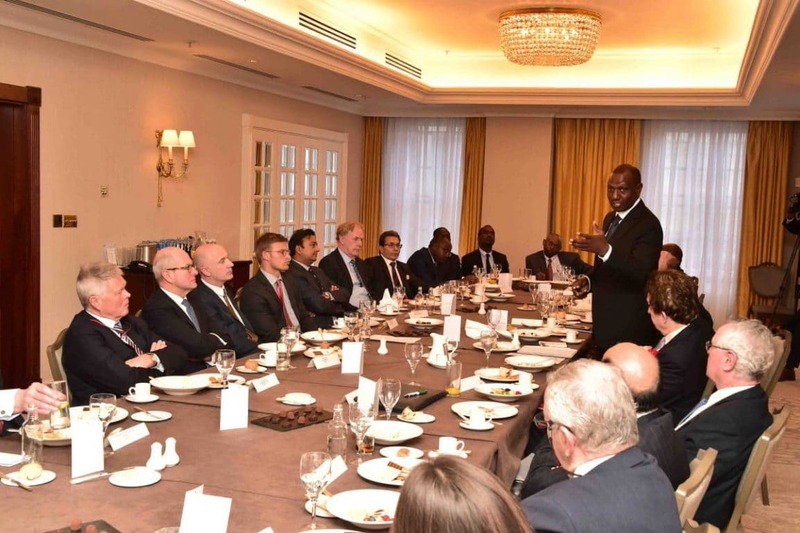 Deputy President William Ruto has cancelled his cocktail meeting with Kenyans in London, which was to happen on Friday. The event, planned by the Kenya High Commission, was set to be a one and a half-hours session for the Kenyans in diaspora to interact with the deputy president. However, the meetup was not to happen as the deputy president’s team revealed that the DP was forced to cancel as he was to return to Kenya. He is expected to be back in the country this evening as his boss, President Kenyatta is set to fly out to Ethiopia on Saturday morning. Following the cancellation, Kenyans who had bought the tickets to his cocktail event received a mail on Thursday evening informing them of the change of plans. The notice read: “Good evening, Thank you for registering to attend the Cocktail to be hosted by H.E. Dr. William Samoei Ruto, PhD, EGH, the Deputy President of the Republic of Kenya, scheduled for Friday 8th February 2019 from 1830hrs to 2000hrs in London. However, due to unavoidable circumstances, the event will not take place. We apologize for any inconvenience this may have caused,” the Kenya High Commission informed those who had registered. Before his return, the DP is still expected to give a public lecture on Kenya’s national unity and regional integration at Chatham House. Since his arrival at London, he has already met with a number of leaders including Penelope Mary Mordaunt (Portsmouth North MP) and George Hollingberry (MP for Meon Valley and Minister of State for Trade Policy at Department for International Trade). The Head of State is expected to travel to Ethiopia for the 32nd Ordinary Summit of Heads of State and Government.